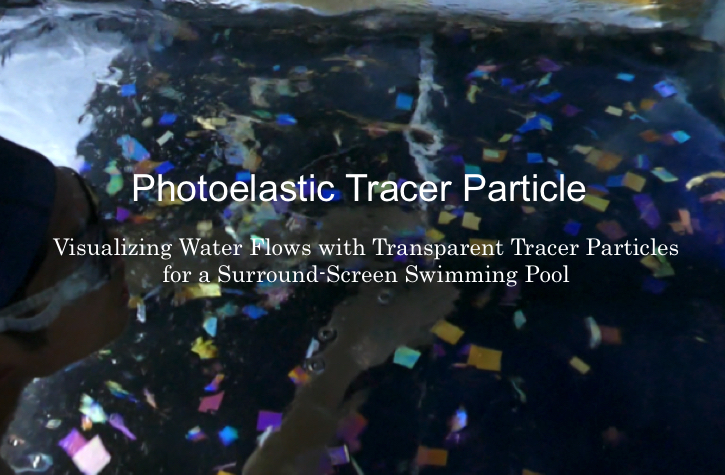 Shogo Yamashita, Xinlei Zhang, Takashi Miyaki, Jun Rekimoto, “Visualizing Water Flows with Transparent Tracer Particles for a Surround-Screen Swimming Pool“, the 8th Augmented Human (AH) International Conference(AH2017), March 2017, pp.11-20. ACT-I is to consist of original and challenging proposals and its research endeavors are expected to attain high-quality developments by the international standards over the coming decades. It will promote informatics research toward state-defined strategic objectives that is likely to generate new values necessary for scientific and technological innovations.